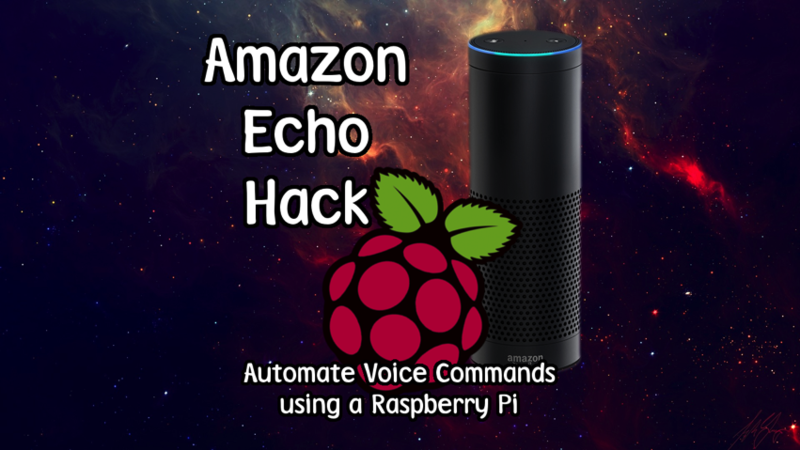 Amazon Echo Voice Command Automation using Raspberry Pi #piday #raspberrypi @Raspberry_Pi « Adafruit Industries – Makers, hackers, artists, designers and engineers! Nice hack from gamaral on hackaday.io. By modifying the Echo controller, you can have “Alexa” notify you when you have mail, tell you your news without asking for it, play some music when it’s time for a break. The possibilities are endless! Well, not endless, they are limited by what Echo can do. Echo remote control was disassembled and power rails identified using a digital multi-meter. Tactile switch membrane was pulled back from the microphone/command contacts and a piece of wax paper was placed underneath in order to preserve the membrane’s adhesive. Some wire-wrap wire was soldered onto the outer contact of the microphone/command switch after it was identified to be the one going to the main micro-controller on the back side of the board. Standard right-angle headers where used as SMD headers (since I ran out of actual SMD headers) where soldered onto the test pads in the back in order to supply power and ground to the controller board. Since the controller is powered with 2x AAA batteries, a 3v3 regulator was used to power the controller. Tactile switches connect the outer switch contact to a 1v8 rail, so we use a simple 1/2 voltage divider for the RPi’s GPIO in order to trigger the switch safely. A script is used to toggle the RPi’s GPIO HIGH and LOW before and after espeak reads out the voice command.